Capcom Announces Ace Attorney 4 Coming to U.S. In a press release on Friday, Capcom announced Apollo Justice: Ace Attorney is scheduled for release in the U.S. in early 2008. This is what I imagine law school is like. 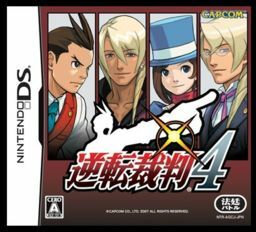 Posted on November 11, 2007 November 11, 2007 Author MikeCategories DSTags Ace Attorney 4, Announces, Apollo Justice: Ace Attorney, Capcom, DS, U.S. Previous Previous post: Halo 3 – Traffic Cone as a Weapon? Next Next post: Get Mass Effect Early!